Introducing: PERFORMIX TCP - Timed Cognitive Priming, designed for the individual who knows that true high-performance demands more than just physical excellence. This time-release cognitive enhancement formula provides clarity of mind and superior focus so that you have the energy, drive and mental acuity to tackle any obstacle, in fitness and in life. PERFORMIX TCP - Timed Cognitive Priming serves as a holistic mental cognition support platform powered by Sensoril® and Teacrine®, helping to promote clarity, concentration and alertness while our anti-stress formulation promotes overall emotional well-being. 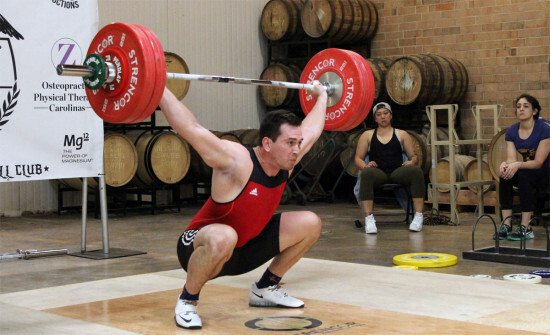 We believe the ability to clearly see your goals makes it that much easier to dominate them. Never hit the wall again. PERFORMIX TCP - Timed Cognitive Priming is time released to provide mental fuel for the entire day, consistently boosting energy levels and resisting fatigue. The PERFORMIX brand speaks to highly motivated individuals, tackling multiple challenges every day. Huperzine A helps protect the brain from the breakdown of key neurotransmitters, sustaining effective memory performance. 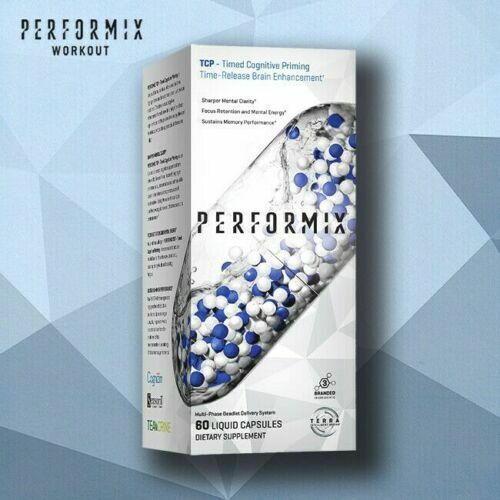 Performix TCP Timed Cognitive Priming Time-Release Brain Enhancement is designed for the individual who knows that true high-performance demands more than just physical excellence. 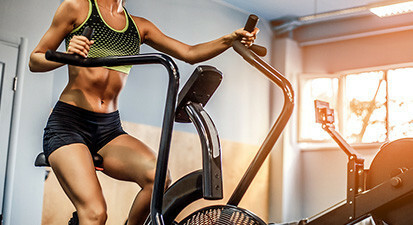 This time-release cognitive enhancement formula provides clarity of mind and superior focus so that you have the energy, drive and mental acuity to tackle any obstacle, in fitness and in life. Performix TCP - Timed Cognitive Priming serves as a holistic mental cognition support platform powered by Sensoril and Teacrine, helping to promote clarity, concentration and alertness while their anti-stress formulation promotes overall emotional well-being. Performix believe the ability to clearly see your goals makes it that much easier to dominate them. Every Performix supplement is driven by their Terra Intelligent Dosing technology, utilizing best in class bio-availability enhancers and intelligent dosing delivery to help maximize every single molecule's potential... period. To out perform, out last and out do. 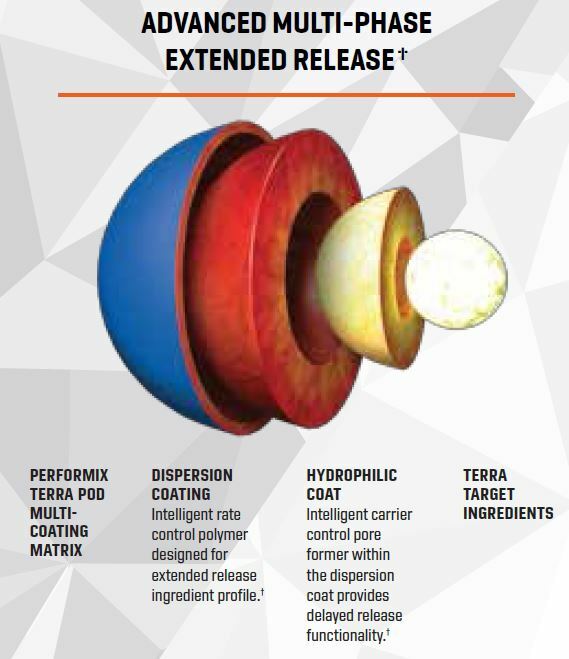 Terra Coating is an innovative Multi-Coating Matrix (MCM) technology that targets pH extended release functionality. This offers an advanced delayed release coating system designed with multiple release points to help maximize ingredient performance. To Outperform, Outlast, and Outdo! As a dietary supplement, adults take 1 Serving (2 Capsules) each morning as needed for maximum mental performance. Please read the entire label before use. [Std. 8% Withanolides], Mucuna pruriens extract (seed) [Std.